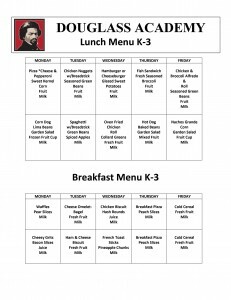 Douglass Academy is now accepting bids for the 2014-2015 school year to provide both breakfast and lunch daily for its students. We are looking for a company who will cater the meals and provide necessary paperwork in a timely manner on a daily basis. In addition, all paper goods, eating utensils, serving equipment and meal plans (menus) should be provided at your expense. Douglass Academy will participate in the USDA’s Food and Nutrition Service Program which has eligibilities and guidelines that must be met and observed for the school to be in compliance for funding. 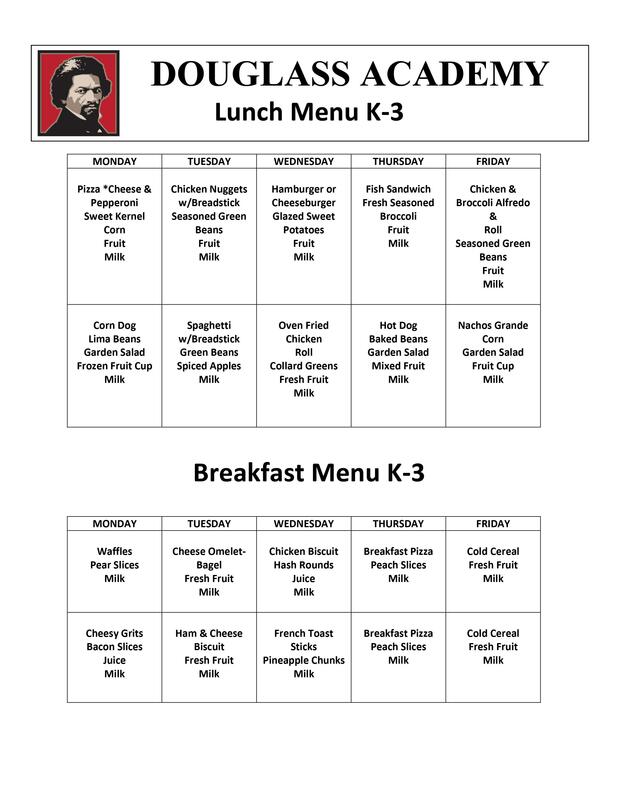 Please go to our website View Proposed Lunch Menus at to download our proposed meal plans. Use the breakfast and lunch menus to provide your price point per meal. The deadline for bid submission is at noon on Monday, June 23, 2014. Sealed bids should be mailed to Douglass Academy at 507 N. 6th Street, Wilmington, NC 28401. For questions, please contact Barbra Jones, Headmaster, or Aileen Washington, Secretary, at 910-763-1976.